Looking up the Wanganui River from sandhills near the town. Given by Dr H.D. Skinner, Dunedin, 1948. Williams, E. A. 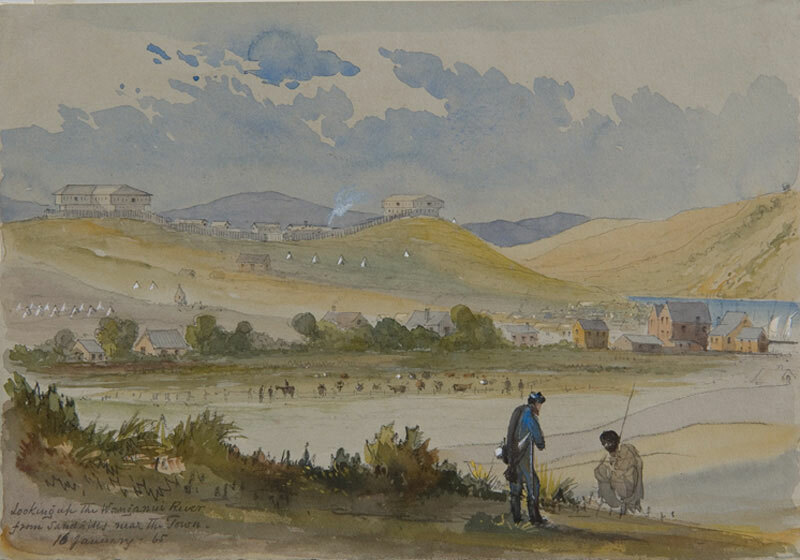 (Edward Arthur), 1824-1898, “Looking up the Wanganui River from sandhills near the town.,” ourheritage.ac.nz | OUR Heritage, accessed April 20, 2019, http://ourheritage.ac.nz/items/show/4902.